The girls played in the SOSGGA medal which was held at the Roxburghe today. The gale force winds proved very difficult with most of the players shooting well over their handicap. Home player Danielle Ker (handicap 4) was the exception with a very creditable gross 78, winning the scratch prize. Katie Malcolm playing of 11 from Dumfries won the handicap with a net 76. Further to my 'promotion' to Captain, I wish to inform you all that Sharon Paterson from Kelso is the new Junior Convenor for the BLCGA, I wish her well and I am sure she will do a great job. 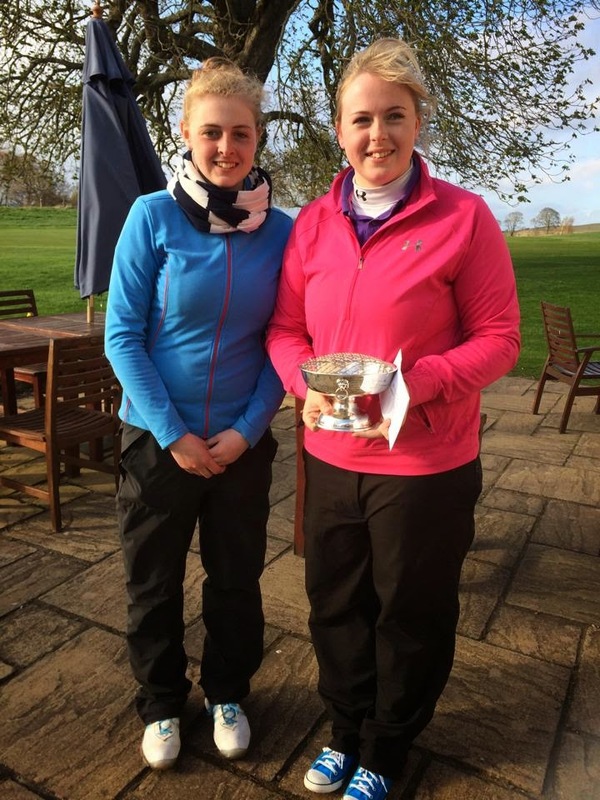 Tara meets Connie Jaffray in the Scottish girls final on Saturday. Tara beat Dani in a close semi-final 3&1. Well done to both Dani and Tara. They are into the semi finals of the Scottish girls. Unfortunately only one of them will get through to the final - they play each other! !